In all seriousness, I'm looking forward to it, although what exactly "it" is I'm not so sure? 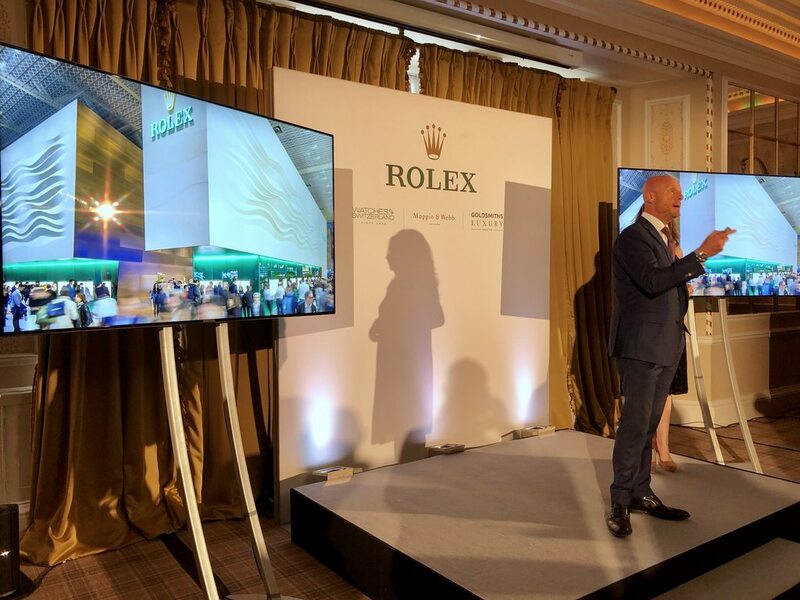 My Rolex AD rang me today to invite me to a special event where they hope I will have the chance to try on a number of hard to find watches and quite possibly the new releases from Baselworld 2018. I was told there will be a sit down dinner but apart from that, I have no idea what else to expect or if it's even slightly different from the local car dealer's VIP events where you're specially invited to buy the same car as last week but with a bottle of fizz for the mrs? These happen all year from about May. The Basel peices tour the U.K and dealers host evenings to show them to clients. Drinks and meal the norm. It’s a nice evening, see and handle the new releases, good booze and a chat about watches. Seriously though it could be a good chance to see some of the new models. We were invited to a similar do a few months back but were busy so couldn't go. Might be a bit of the old oneupmanship going on but hey why not give it a go? It’s the first time the new models will be presented in the UK, and possibly in the world with the exception of Basel. It’s not the same as the usual AD events, it’s a “proper do”. I think this is it, however they are expanding on the one off nature of it, I'm told there are London, North and Scotland events taking place with watches available to purchase. Given the location of the event I expect it to be quite some occasion. I know they have regional events too, but if it’s the one at TRHH, this is the “main event”. your chance to view the stunning 2018 Rolex Baselworld Collection. you to our dedicated registration site. You will then receive a confirmation email containing your reservation details. We look forward to welcoming you to the 2018 Rolex Baselworld Exhibition. Is that a dinner, or an exhibition? Looks like there’s a few on that week - the one I’m going to isn’t on 10th and the invite said it’s a dinner, not an exhibiton. Not sure, I got mine in the post and not via email. My AD also Invited us to the 9th May dinner, looking forward to it. I’ve had the dinner invite on the 9th but sadly had to decline as my wife and I are expecting a boy around the 28th April so don’t want to risk it. I had similar invite last year. Was a good event, the food and wine were outstanding, and got to chat watches and try some nice ones on. It was a bit later in the year, but then again we are at the edge of the empire here in NI. It was my preferred salesperson at the AD that rang today and they were checking if we could make it before posting out invites. Quite a nice thing to do I suppose. So if you get an invitation to the dinner rather than the exhibition do you stand a better chance of actually buying an in demand watch? Unfortunately no invitation for me! I was told that there would be watches to purchase on the night, obviously not the Baselworld releases. Has anyone been to one of the day events before and say it’s worth it? I went last year to the Manchester event, it was a great evening. The AD brings along a load of watches and Rolex supply the dummies from Basel to tempt folk. I've been to the odd event. There is literally no point as you can't buy anything anyway due to waiting lists. Nice to get some free champagne and food though. Nice to get some free champagne and food though. I’ve been to a few things before and they are really good. Went to Rolex Fastnet last year and that was a great evening. Unfortunately the local event for me this year is when I’m away. Wow you lucky lot. Enjoy. I went to the same event. The flight to Vegas the next morning wasn’t a pleasant one! Yes it was them and a really great evening. Was invited but am away at a wedding in Italy, will be a good night and am sorry to be missing it. I was surprised to see a BLNR, LV Sub and SD43 all in stock and available to buy on the night. In other news, I also saw a warranty card withheld on a two tone... apparently that’s their policy now. On Daytonas I can understand, but a TT piece is a bit ridiculous. Did you buy? Max out the CC !! I am off to the Manchester event next week, looking forward to trying out the new DS JC edition plus a few others. If it’s any consolation I don’t think they lasted the night, they were all gone from the case by the time the event finished - along with most of the other stuff that was on sale! It's great that Aurum & Rolex have put on these post Basel events. I went to the one at RHH on Thursday. Most of the models I'm interested in, and a lot that I'm not, were there together. The best selection of new Rolex I've ever seen in one place. Tried the lot. Had previously thought the Explorer 2 White not worthy, but having put it on, I was smitten. I attended the Manchester one last night. There were a few hard-to-get watches sold first come, first served. This included all 3 Sub variants, all Sea-Dweller variants, GMT BLNR, all Explorers, some Milgauss etc. It was a bit chaotic as when people learned they could buy a watch they were told not until after the presentations and then it was all the jostling to find which AD was allocated which stock to sell. I was advised that half of all Rolex watches in the UK are sold through Aurum Group and that they check who has their names down in which stores (like there's a master list or something). Anyone with their names down in several places would not be invited to the event as it indicates they might be a flipper rather than a potential owner of a watch... The message seemed to be "build a relationship with your local AD and they'll look after you". M&W watch maker checked my SD50 as well and it was +/- 1 second per day, currently got my name down for new JC DS. Last edited by Arcam; 18th May 2018 at 15:26. 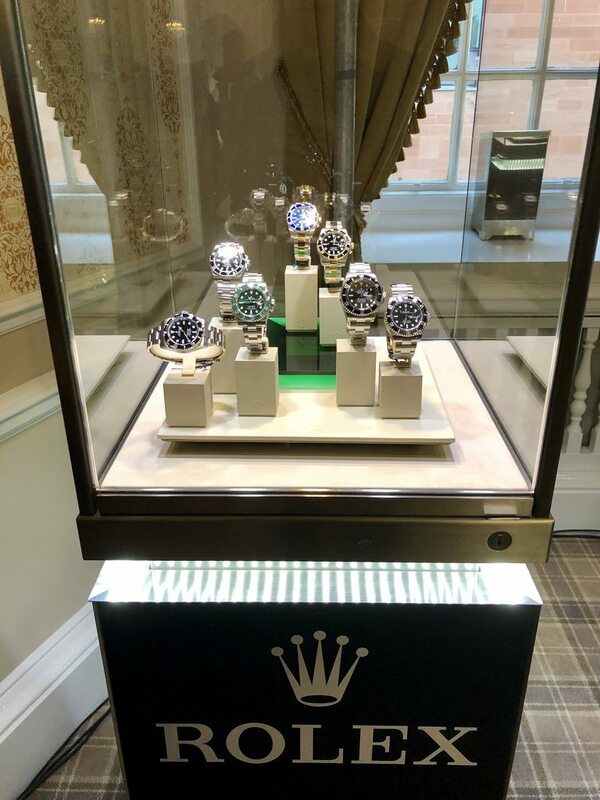 In the same way as getting an evening invitation to a wedding, I got an email from my local AD manager inviting me and my wife into the store over this weekend to see the Basel 2018 Rolex offerings and have a glass of bubbly. In saying that, we did go to the "full monty" offering last year, so it's not all bad, I suppose. Maybe you can buy a cheaper Rolex watch there. 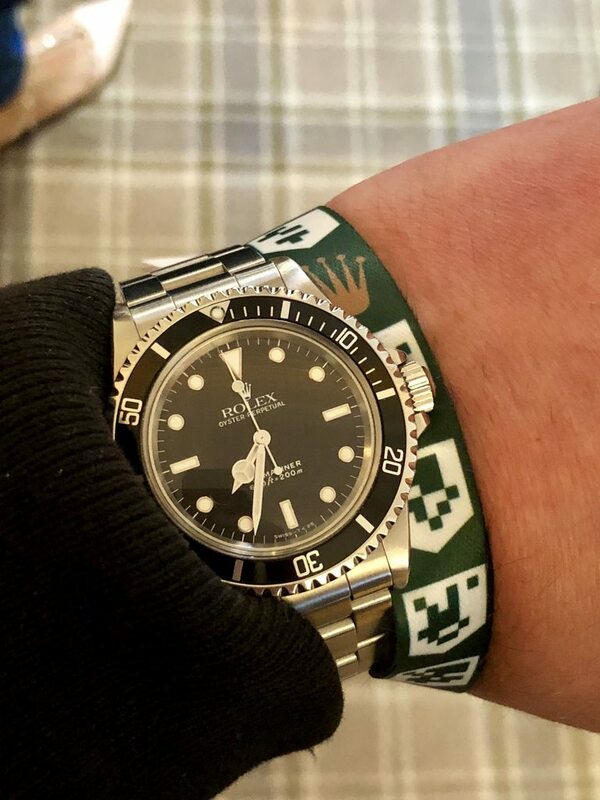 Cheaper Rolex there? Where would that be? Anyone going to the event at Woburn? At Paris House, by invitation. Has anyone had the invite for this year as of yet? Only via AD email. Once confirmed they said head office will send out a formal invite..
I’m going to the 8th May event, 5:30 to 10:30 pm. Maybe see some of you there?